Alcohol Is One Of The Main Causes Of A Yeast Infection - YeastInfection.Org by Eric Bakker N.D.
February 17, 2012 by Eric Bakker N.D.
Do You Have A Yeast Infection And Drink Alcohol Regularly? It never ceases to amaze me when I read many different blog sites, e-newsletters, e-books and other sources of information with regard to candida yeast infections, that most practitioners (and their patients) completely overlook one of the biggest maintaining causes (probably the # 2 dietary cause) of on-going yeast infections – alcohol. Now that I have your full and complete attention, listen up if you have candida and drink wine, beer or spirits please! I have seen countless patients (you can read more in case studies column) in particular who find it almost impossible to stay away from alcohol yet who have digestive issues, skin complaints and fatigue (alcohol causes many yeast infections). This to me is saying that you have a money problem yet you keep taking on more credit with the bank and continue a gambling habit. Of course you have a problem, and the cause is right under your nose but you are either in denial or you just can’t be bothered. With women it may well be wine and chocolate, with guys it will be beer or wine and sweet or savory snacks. 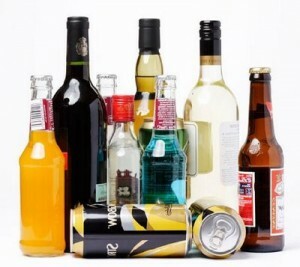 I really can’t think of any food or beverage more destructive for the candida patient than alcohol. The more resistant the patient is in wanting to give up all alcohol entirely (and I absolutely mean 100%) for at least 4 months to allow the digestive system to fully recover, the more likely it will be that alcohol is a major causative factor, and is continuing to underpin the yeast condition. 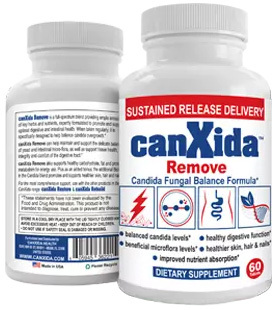 Many candida patients appear to have a level of have anxiety, mood swings, impatience, irritability and even depression (I have covered this in detail here). These conditions appear to go hand in hand with chronic yeast infection sufferers, especially if regular alcohol intake is apparent. Some candidiasis sufferers will feel, and appear to be, intoxicated or even stoned. You know the solution, STOP all alcohol completely and watch what happens to your digestive system bowel motions also take CanXida supplement you can find more about it on canxida.com. You will be most surprised to see them change over seven to ten days, I guarantee it. If this happens, and it will (unless you also eat lots of take-out and processed foods) you are on your way to great health. Congratulations, you are finally in what I call the “wake-up” mode. You have seen the light and will not only be decreasing your population of intestinal yeast, you will be improving your health in ways you didn’t think were possible – that skin rash will go, that itchy groin will go, that vaginal discharge will go, and many other signs and symptoms of a candida yeast infection will go. Trust me; you will wonder why you didn’t see the light years ago. Don’t kid yourself – one glass a week is enough to keep you in the candida zone. 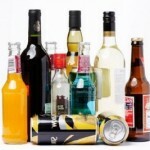 If you are serious about eradicating a condition which has been bugging you for years, you will only know if the condition is caused by alcohol be stopping it. You can also get my book CandidaCrusher where I go in detail on how you can eradicate candida once and for all. Are Metabolites Invading Your Body?